This group is for owners or future owners of smart phones and tablets running Android (more about this see below). 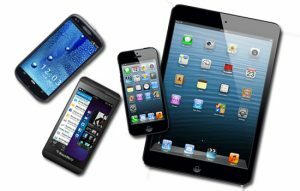 If you have a smartphone or a tablet that is not an iPhone or iPad it is most likely to be a Android powered phone or tablet. As an example all Samsung phones are of this type. Please bring along any application/programme, also known as apps, that you find useful and wish to share. 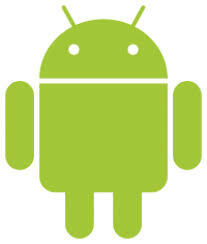 We have quite a number of interest group members with Android experience. These members can share with you their knowledge and experience of a variety of useful apps (more about apps below). 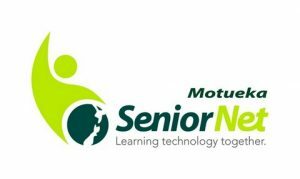 SeniorNet has also courses for Android tablet users. For further information on these courses contact Mary, 03 5288600, or click here to email. Android is an operating system like Windows 10. The re is a high probability that it is the system that powers your cell phone or tablet. It is primarily designed for mobile devices such as cell phones, tablets and laptops. Its primary mode of operation is via touch, making it feel very natural to use. For instance, one can turn the page of an e-book by just swiping to the right (next page) or left (previous page, or change letter size by swiping up or down. It can be used with ordinary computers but this is less common. It has been further developed for use with smart TVs, cars, watches, cameras etc. There are a vast number of apps that can be downloaded, many of them for free. It is developed by Google and based on the Linux operating system. In terms of number of devices on which it is installed it far outsells any other operating system, including Microsoft Windows or Apple. It is used extensively, on phones, tablets and TVs. Some think that the future is quite likely to lie with Android. Apart from the operation of smartphones and tablets a focus will be on apps. App is an abbreviated form of the word “application.” An application is a software program that is designed to perform a specific function on the phone or tablet directly for the user or, in some cases, for another application program. The apps can be downloaded from a store, called Play Store, and can be easily installed.